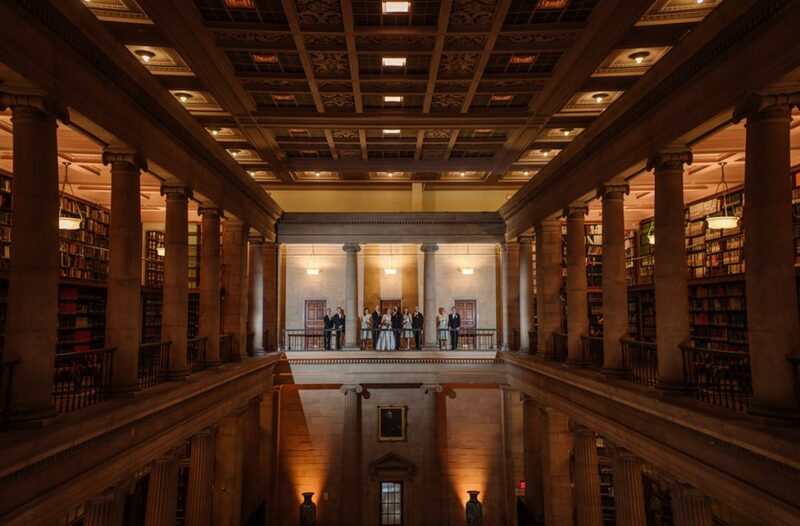 Couples planning their wedding at the James J Hill Library in St Paul often ask me how their photos will look in such a dark space. Your photos can definitely look as awesome and majestic as the building, but it does require some planning and the right photographer. 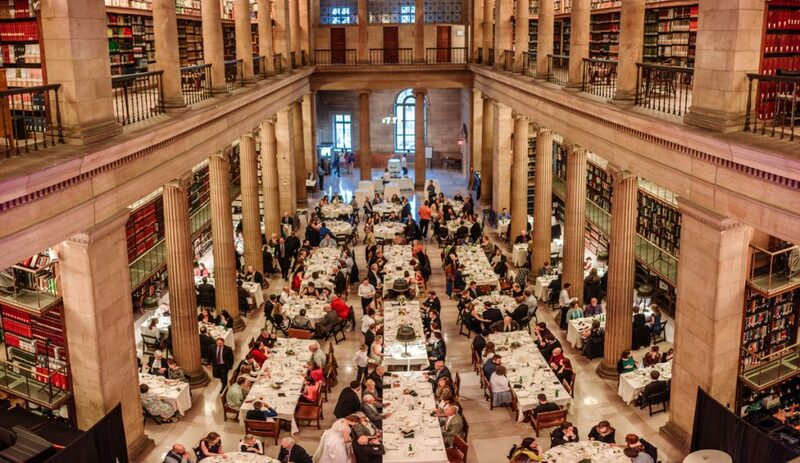 When you were looking at venues, the JJ Hill Library probably stood out as soon as you walked into it: even among all the other buildings of old St Paul, the library feels like stepping into the past. This image is 4 images stitched together to create the best blend of lighting for each group across this amazing space. That same feeling makes this space a total pleasure to photograph, but it’s dark open spaces require a photographer who knows how to balance lighting and make good use of the architecture. 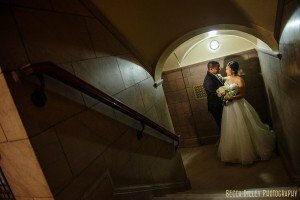 Make sure your photographer is used to working in dark spaces – the small amount of ambient light and few windows means that the opportunities for photographs without additional lighting are limited. 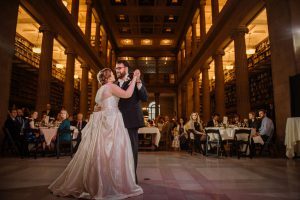 You’ll want to make sure that your photographer has a plan for documenting the darker parts of the day – particularly the reception and any dancing you might plan. 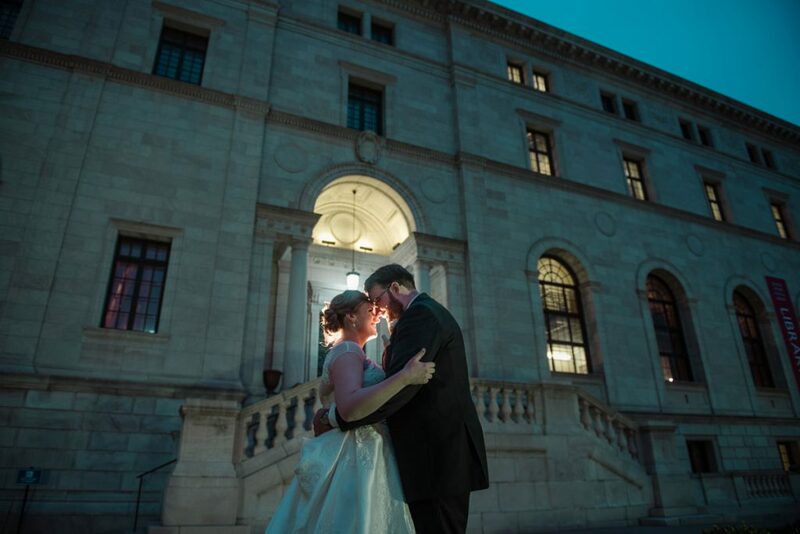 The exterior of the James J Hill Library is an amazing backdrop for portraits, even in the evening. Likewise, the vistas overlooking the entire space are spectacular! 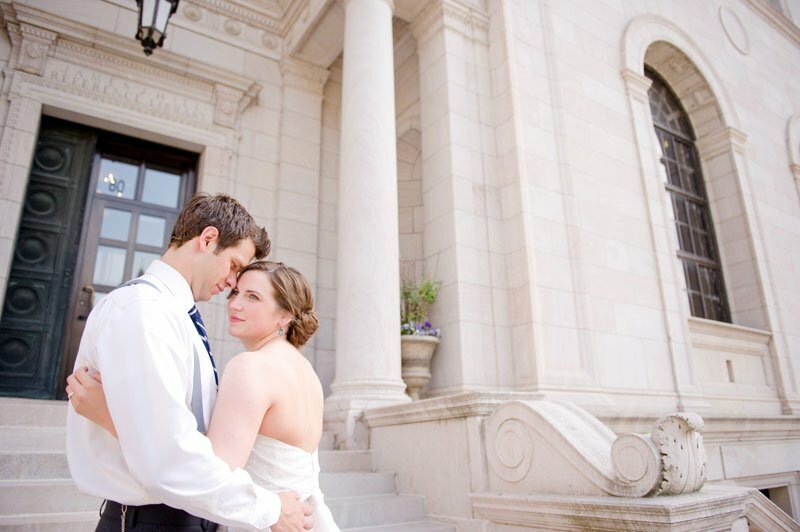 Talk with your photographer about how they plan to incorporate some of those larger vistas into their overall coverage. 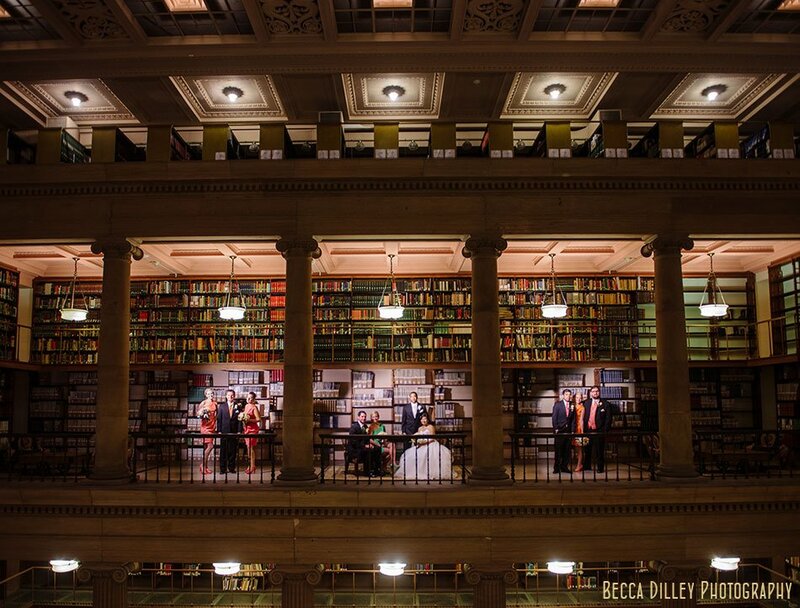 The outside of the Hill Library is an amazing space for portraits – during the day, it has views to rice park and you can see the full exterior of the library. In the evening, the view is also stunning, and on a night night it is worth stepping out for a portrait or just a breath of fresh air. 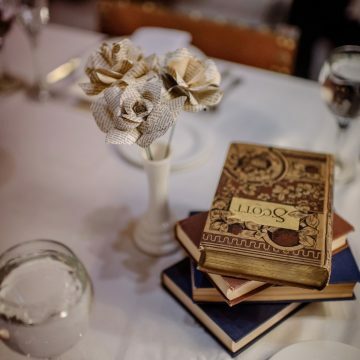 Your guests are going to be awed by the space as well – the 4 floors of bookshelves and columns are so unexpected! 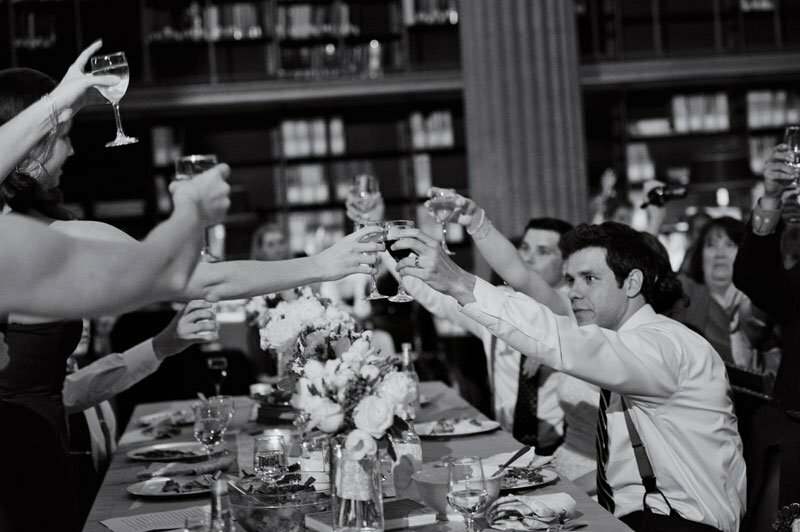 You and your photographer should discuss how to make sure your guests are documented in this space, too! 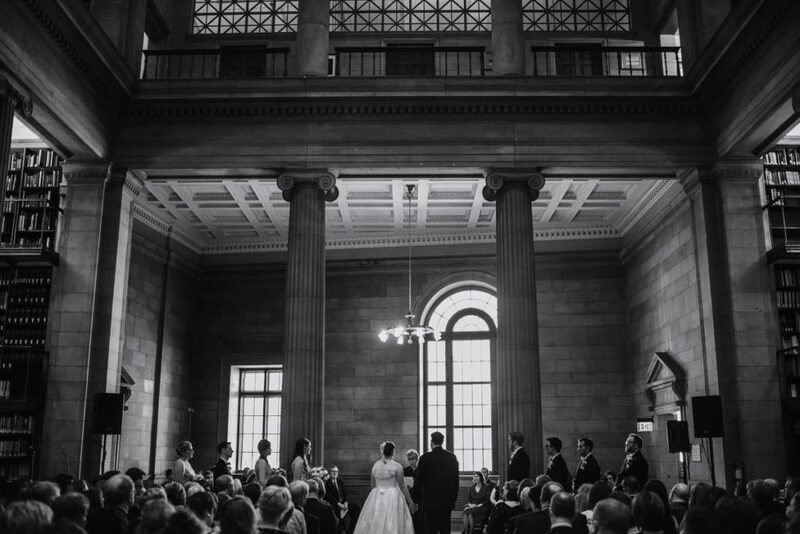 For portraits, you’ll want to take advantage of the views from the upper floors. This is where lighting and some planning will make a huge difference in the final images. Are you looking at the James J Hill Library? 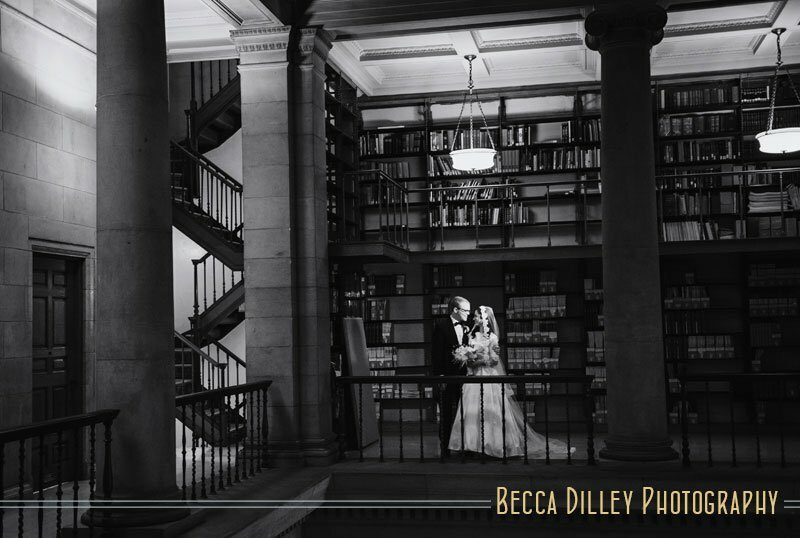 If you are planning your wedding at the JJ Hill Library, I’d love to talk with you about photography!